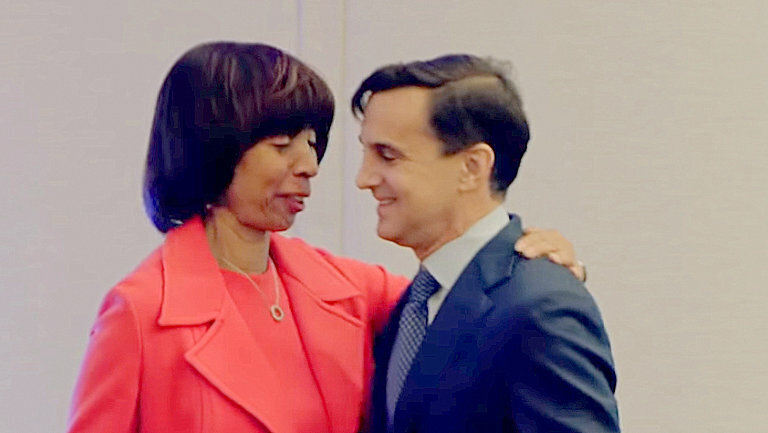 On January 9, 2019, nine senior administrators and one retired hospital CEO at Johns Hopkins University contributed a total of $16,000 to the campaign coffers of Mayor Catherine Pugh. 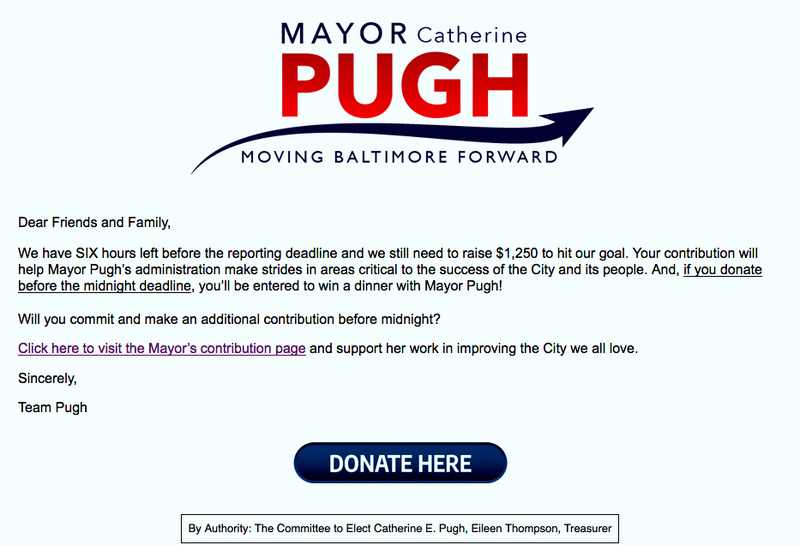 Led by Hopkins President Ronald J. Daniels, the donations helped Pugh exceed her fundraising goal before the annual state filing deadline of 11:59 p.m. that day, according to the mayor’s finance report filed with the Maryland Board of Elections. As a private non-profit educational institution, JHU is banned from making contributions to political campaigns or to politicians. Individual citizens, however, are free to contribute to candidates of their choice, which is what Daniels and his senior staff – including five vice presidents, the university provost, and the past and current presidents of the Johns Hopkins Hospital – did on January 9. They each contributed $1,000, $2,000 or, in the case of Daniels, $3,000 to the Committee to Elect Catherine E. Pugh. Except for a single $1,000 check, the same-day contributions were made via credit card payments, according to the Pugh committee report. 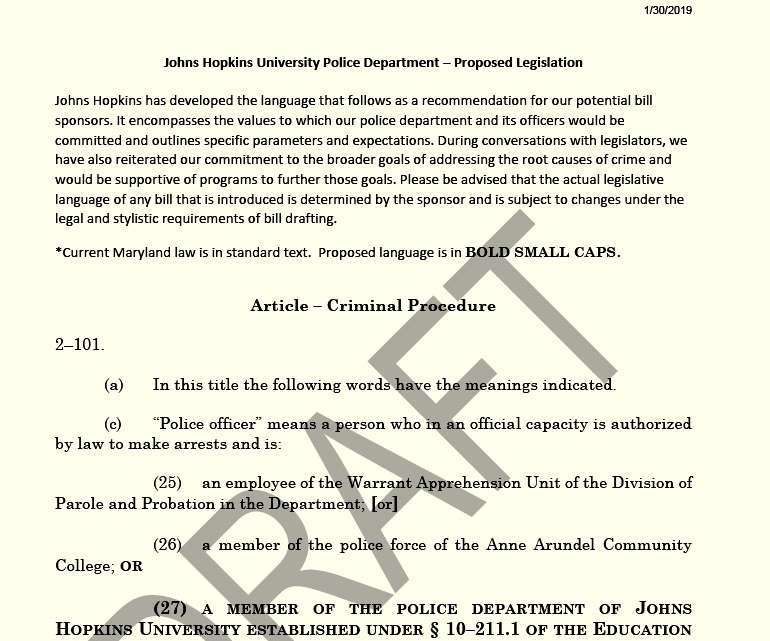 A month later, on February 4, a measure to establish a private police force at Hopkins was introduced by state Senator Antonio Hayes at the “request [of] Baltimore City Administration” or the mayor’s office. The bill followed – word for word – legislation that JHU had crafted and posted online on January 30. Hopkins posted drafted legislation that was mirrored by the bills submitted by members of the Baltimore delegation. The Senate bill and an identical House measure (HB 1094) were the culmination of a year-long push by Daniels and his team to obtain police powers for the university security force. A police department is needed at three of the university’s Baltimore campuses – Homewood, Peabody and East Baltimore – to combat what Daniels called a sustained spike in muggings and other crimes that threaten students, staff and employees. Maryland law allows public institutions to operate police departments, including Morgan State University and the University of Baltimore. But Hopkins, a private institution, is not currently authorized to have such a force. Hopkins has argued that nearly 70% of large universities use sworn police officers to provide law enforcement services, including the University of Pennsylvania, Howard University and the California state system. Some major urban schools, such as Columbia University and New York University, are served by unarmed security guards. Overall, 36% of private campuses, large and small, have armed officers, compared to 91% of public campuses, according to the latest (2015) report issued by the U.S. Bureau of Justice Statistics. The Hopkins proposal has drawn fire from students and faculty and has divided residents and neighborhood associations from the areas near the campuses. Mayor Pugh has backed Hopkins’ efforts, including last year’s police bill that was withdrawn by the university after concerted community opposition. Pugh did not testify in favor of the latest bills during House and Senate hearings on February 22. But she was in Annapolis last Friday, talking up the measures to the city delegation. She was a member of the delegation between 2005 and late 2016, (first as a House delegate and later as a senator) before she became mayor. Last Thursday, Pugh penned an op-ed in the Baltimore Afro saying that “our police commissioner” Michael Harrison (Harrison has, in fact, not been confirmed by the City Council) backs a Hopkins police department. The mayor said Baltimore Police will enter into an MOU with Hopkins to iron out how the private force will work. The MOU is critical because the bills are vague about the geographic perimeters, enforcement powers and accountability of an independent Hopkins department and how its officers would coordinate with the BPD. Pugh has promised that the document would put Hopkins in compliance with the terms of the U.S. Department of Justice consent decree that the city police department have not yet met. In addition to Pugh, Hopkins leadership also has given smaller donations to Maggie McIntosh, whose 43rd House district includes the Homewood campus. McIntosh has picked up $2,250 from four of the 10 Hopkins administrators who contributed to Pugh (though not all on the same day), according to online state records. The 71-year-old legislator is one of the six sponsors of HB 1094 and chairs the powerful House Appropriations Committee. She is a onetime aide to Barbara Mikulski, the retired U.S. 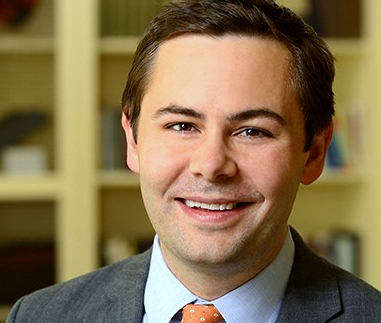 Senator who joined Hopkins in 2017 as a professor of public policy and an advisor to President Daniels. Last Friday, The Brew sent detailed questions about the campaign donations to Susan Ridge, vice president for communications, who has coordinated the university’s public relations offensive for a police department. 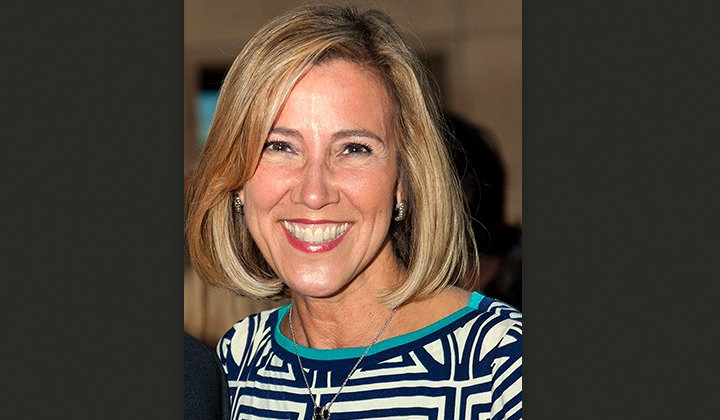 The Brew asked Mayor’s Pugh’s spokesman, James E. Bentley II, about the donations and requested answers from the mayor or a person from her campaign committee. There has been no response from them. State finance records indicate that Hopkins administrators have been far more generous than other leaders of private educational institutions in the Baltimore region. In fact, most higher-ed leaders shy away from making political contributions. • Freeman A. Hrabowski, president of the University of Maryland Baltimore County ($1,000). • Kurt Schmoke, a former Baltimore mayor and current president of the University of Baltimore ($1,000). • Fred Lazarus, retired president of the Maryland Institute of Art ($2,000). Lazarus testified in Annapolis in support of the Hopkins bills, saying he represented “three halves,” living two blocks from the Homewood campus, helping to establish the Hopkins-financed Central Baltimore Partnership and serving as MICA’s president emeritus. Lazarus’ opinions do not reflect the current administration at MICA, which is not interested in establishing a police department, two sources tell The Brew. Other private universities in the city and county – including Loyola University, Goucher College, Notre Dame of Maryland University and Stevenson University – have not sought state authorization for armed private police. • Susan Ridge ($1,000). 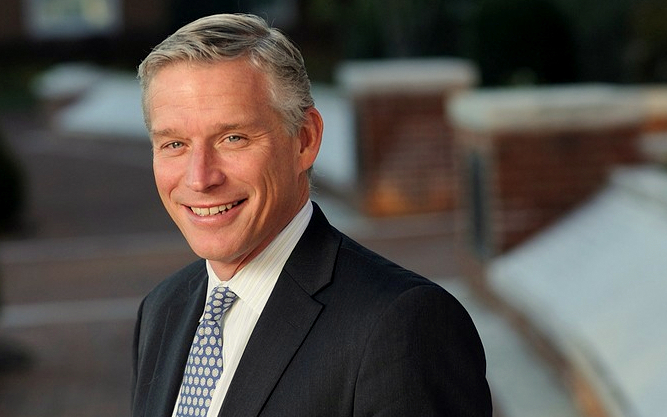 The senior vice president for communications has led JHU’s drive to rally public support behind the police department. Prior to her January 9 donation, Ridge had never made a political contribution before in Maryland, according to state records. • Ronald Daniels ($3,000). The donation he made to Pugh was the largest of his 10-year tenure as president of Hopkins. Previously, he has given $1,000 to Thomas V. “Mike” Miller, president of the Maryland Senate, and $500 to former Baltimore Mayor Stephanie Rawlings-Blake. • Sunil Kumar ($2,000). 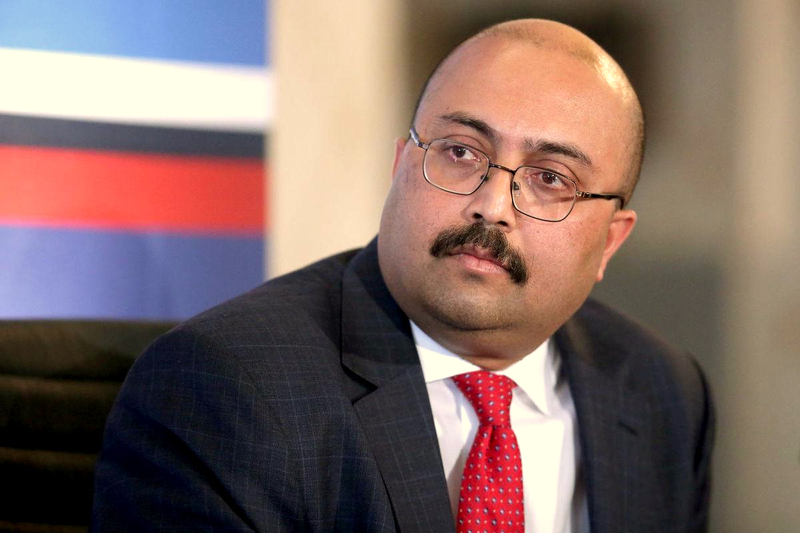 As provost, Kumar is second in command at Hopkins, responsible for academic affairs and the university’s research mission. Outside of a $500 contribution to Maggie McIntosh last year, he has shied away from political giving. 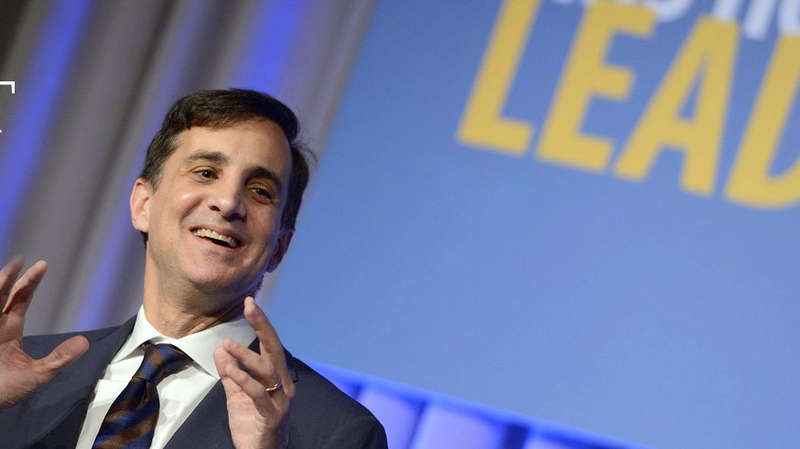 As a university’s top academic officer, provosts rarely wade into partisan political waters. Sunil Kumar has, with contributions to Pugh and McIntosh. • Daniel Ennis ($2,000). The senior vice president for finance has occasionally given before, but never in the four figures. Prior beneficiaries were McIntosh ($500) and Baltimore City Council President Bernard C. “Jack” Young ($500). • Ronald R. Peterson ($2,000). In addition to his contribution to Pugh, the president emeritus of the Johns Hopkins Health System gave $500 to McIntosh on January 9. 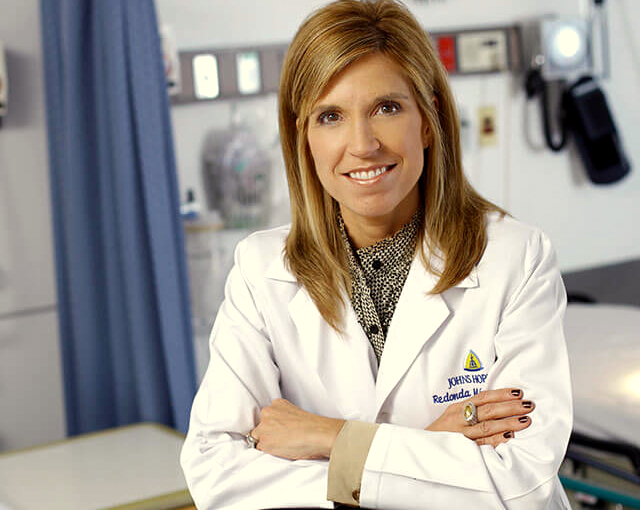 • Redonda Miller ($2,000). The current president of the Johns Hopkins Hospital has previously given $500 to Pugh and $250 to McIntosh. • Kerry Ates ($1,000). President Daniel’s chief of staff made her first contribution to a Maryland politician on January 9. Kerry Ates is the chief of staff for President Ron Daniels. She previously worked for John D. “Jay” Rockefeller, the former U.S. Senator (D, WV). • Fritz Schroeder ($1,000). So, too, the vice president of development and alumni affairs has not given before this donation. He resides in Annapolis. • Arthur Paul Pineau ($1,000). 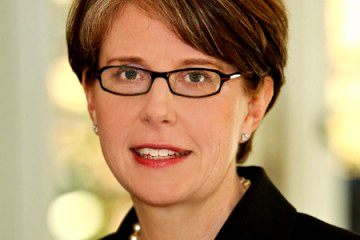 Pineau is Hopkins general counsel and senior vice president. He is expected to hammer out the MOU between the Pugh administration and Hopkins, if the police bill is approved by the legislature. • Tom L. Lewis ($1,000). The vice president for government and community affairs may have worked for two speakers of the Maryland House of Delegates, but he hasn’t been keen to dig into his wallet since then. Lewis has written just one other check to a Maryland politician – $1,000 to City Council President Young in 2015.